Alpha Beta Glow Pad is the only anti-aging, exfoliating sunless tanner that contains active Vitamin D (the sun vitamin) to provide smoother, healthier skin and natural radiance year-round. Microencapsulated DHA and Soy Proteins deliver color deep into skin to prevent fading through surface exfoliation. Alpha and BetaHydroxy Acids exfoliate, tighten pores, eliminate blackheads and help fade existing sunspots for an even, streak-free glow. Vitamin D is known for enhancing the benefits of the additional vitamins and antioxidants found in the formula. Glow Pad transforms dull texture and tone into radiant, glowing skin better than MotherNature herself – reducing the need for foundation and concealer. Active Vitamin D and Soy Protein create a natural healthy glow. Provides odorless, streak-free application and long lasting customized color. AHAs exfoliate dry, dull skin and help minimize appearance of dark spots and pores. Minimizes imperfections and limits the need for foundation. For face and body. Apply evenly to clean, dry skin in circular motions wherever color is desired. To customize color, increase the number of repetitions to achieve a darker glow. Wash hands immediately after use. This product was recommended to me and I am glad I ordered it. It give a nice color to your skin, just wish it lasted a bit longer. I was really excited to try these as a lady I met just raved about them. After buying them I was really disappointed as I did not think they gave me any color like I had expected. These glow pads are very small, unlike another of their competitions towels. It is like a stridex pad size. After using it I did not notice much color at all. Will NOT buy again. I have found many others that are far better than this brand. Don't waste your money. I got this as a sample with another order,decided to try it ,thinking it would just be like all the others well was I WRONG...i cut the application in half so therefor I get two out of each pack .it looks so natural and I forget I put it on until I slowly notice a color to my face like a natural tan ...awesome product would HIGHLY recommend. I love this product! It's the 1st facial tanner that stays on my face for days and I use a clarisonic brush daily. It takes a few hours for the true color to show up, but when it does--it glows. I get lots of compliments on my makeup when I use this facial tanner. I bought this product last year and didn't use all of packets. Opened one this season and just as great. I have fair skin and love this tanner. I put it on after moisturizering before bed and wake with a tan glow. Little fragrance. Purchasing more for this season to start the summer!! I have tried all different kinds of self tanners. These are by far my favorite. The color is so very natural. It absorbs quickly and lasts for days. The nearest comparison would be Kate Somerville. Though they are more expensive and I don't like the color they give me as well as Dr. Gross' AGP. 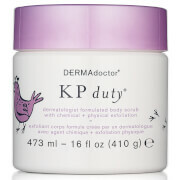 This product is easy to apply, you can avoid over tanning age spots, etc.and reapply to pale areas.